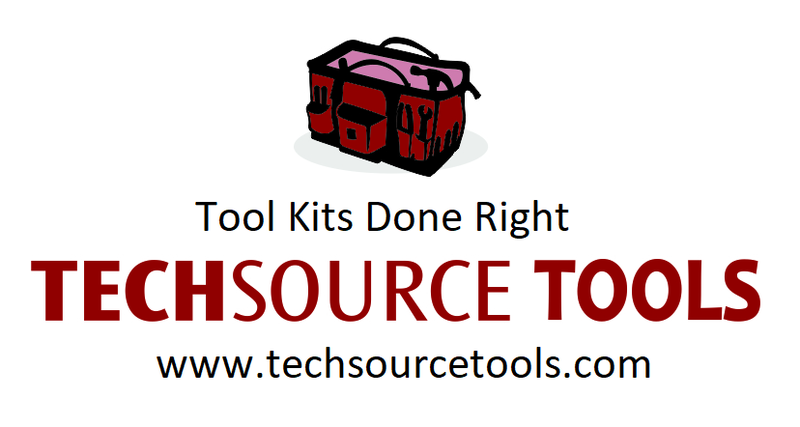 Techsource tools partners with the leading brands, in the Skilled trades industries, to offer Training institutions special educational discounts on tool kits and test instruments. By selling mostly kits, we do not disclose our costs on individual items. This enables our vendors to offer us deeper discounts knowing that we will not publicly disclose their pricing. This is a winning strategy for all three parties. The vendor gets their tools in the hands of future Technicians, who will now become familiar with the brand and probably buy more tools in the future. Techsource Tools can offer lower pricing to our customers and help you save money on Industrial grade, professional quality, tools and test instruments. Our customers get to offer their students the leading brands of tools and test instruments at a very competitive price. When the students graduate from school, they will go out to employers with an impressive, high quality tool set. This sends a signal that the school cares very much about quality. High quality tools at an extremely competitive price. The best service you will receive from any vendor. Same day shipping on warranty replacements. Educational materials and banners at no charge. Two week or less turnaround on kits. Stocking programs available with One to Two day turnaround on kits. No questions asked Warranty replacements. Tool kit designer on staff at no charge. Shipping is always free on all kit orders. Our kits are shipped in very heavy duty boxes guaranteeing that kits will always arrive in perfect condition. Employees that strive for perfection in everything we do. Our kit accuracy rate is 99.3%. Most importantly, we are a company that is totally customer driven. Customer service always comes before new sales. Our number one goal is to give our customers great service. Our growth comes from our superior service, not an overly aggressive sales effort. Ready To Order Your Own Tool Kit?